There are about 40,000 WordPress plugins. Plugins may be for different purposes. 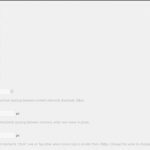 Some may be for SEO optimization, some may be for spam protection, etc. Plugins make WordPress better platform. 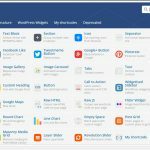 Out of 40,000 plugins, I am reviewing Visual Composer. In Visual Composer Review, we will discuss features of Visual Composer, Visual Composer setting, About the frontend and backend editor.Reviews will always be visual rather than boring page. Object Oriented Code and lot more. There are many other features of this plugin. In visual composer review, we only talk those features. 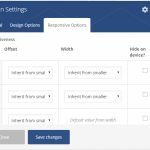 Under the visual composer review, we are moving towards the setting page of the Visual Composer WordPress plugin. Visual Composer Setting page contains 6 tabs. The general setting tab contains Google font options, default template options, responsive options. 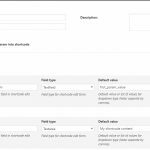 In default template option, you can select either default template, your own template or from the template library.If you want to get the tour of Visual Composer then you can click the reset button. Role Manager tab allows you to manage the role of each Administrator, Editor, Author, and Contributor. You can enable Visual Composer for pages or posts.You can enable or disable the backend editor and frontend editor. Also, you can enable or disable the user from using the page settings( editing custom CSS files) and finally enable or disable the templates for other than the administrator. Other options are grid builder and element presets. 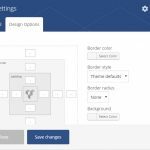 Next tab of the Visual Composer WordPress Plugin setting page is design option. This tab allows you to use the custom design option. It allows you to set the call to action background color, progress bar background color, tabs navigation background color, change the horizontal spacing between columns(grid gutter width), set the mobile width and lot more. Next tab of the Visual Composer setting page is Custom CSS. You can simply paste the CSS code in the editor. Next tab is Product license tab. Here you need to activate the Visual Composer to get the free access to the premium options. Final tab of the visual composer plugin setting page is shortcode mapper. 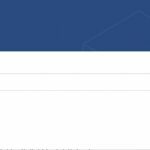 Visual composer shortcode mapper adds custom 3rd party vendor shortcodes to the list of Visual Composer content elements menu. You will be more clear after watching the screenshot. Now we move on towards the Frontend and Backend editor under the Visual Composer Review. First of all visual composer have two prominent features: Frontend editor and Backend editor. 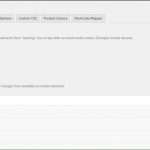 Frontend editor allows you to build the page sitting on the page. To be more clear on this sentence, I’ve picked the screenshot for you. Frontend editor and Backend editor doesn’t work at the same time. When you want to add the new page, you will see two option at the top of the writing area. Those two options are Backend editor and Frontend editor. When you click the Frontend editor, you will be directly sent to the new page. You will first see three option at the top left corner. 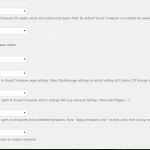 The first option will send you to the homepage of the Visual Composer WordPress plugin. Next ‘+’ icon allows you to add the new element. What are those elements? I will discuss this in Backend editor. Next is the template icon. It allows you to add the new template or import the template from the library. To be remembered that you can only download from the template library if you have registered Visual Composer. Now the setting like icon on the top right side is page setting option. It allows you to set the page title and add the custom CSS for the page. Next, Computer like icon will allow you to view how the page is displayed in the device like the tablet,iPad, and smartphones. In the center of the page, you will see the same thing as in the top right corner. The Same thing is seen in Backend editor. I will show you the further options available under templates, elements, and adding a text block. Now its turn to explain the Backend editor. It doesn’t work like the Frontend editor i.e, building a page by sitting on a page. You will not work on the page but behind the page.Now I will say what those options contain. The first option is adding an element. when you click on this option, you will see more than 50 elements. It is not possible to explain all those options now. But I will give you quick glance on those all 50 elements. So when you add the row, you will see the following layout as shown in the screenshot below. The second option on the top left allows you to select the layout you want. By clicking on the ‘+’ option will allow you to add the new row. Now in the middle of the row, you will see the ‘pencil-like icon’. Now, this icon is for controlling the column setting. General tab consists CSS animation, element ID and extra class name option. Design option is same as Row setting. The extra feature added is the responsive option. Width option consists of the option as shown in the screenshot below. 6 columns-1/2 simply means half the row size. 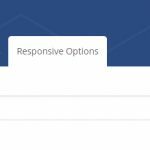 Under the responsiveness option, you have the option of the offset and width. You can check the option if you want to hide the column in the particular device. Most important feature is that you can set different display style for laptop, a different display for mobile. This is the best thing I like of this plugin. So these are the features under Backend editor. Having more than 50 elements on the Visual Composer is not a normal thing. Just one thing, it is a great plugin. I am not a perfectionist. So you can place your thoughts and problems in the comment box. It is very hard to find problems in the Visual composer. Luckily I found very few. Sometimes design option doesn’t work as per your value. Suppose, when you keep margin value to some value it may not work sometime. Next is when you edit the page in frontend editor, changes sometimes is not seen. It is not seen in every brands/model of laptops but very few cases. So not many but minor problems are seen in this plugin. If you don’t have the template created/uploaded, then you might face problem in general setting tab.You just need to understand the meaning of the 6 columns 1/2 in the responsive option of the column setting. Moving towards the last part of the Visual Composer Review, review section. 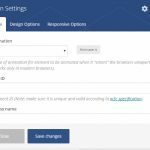 Options: lots of option available for adding the element on the Visual Composer. Post, image text, Flickr widget, YouTube, etc. There’s no problem using these things. So, I’ll rate 4.7/5 for this. Support Forums: Visual Composer has high quality dedicated support team. For user’s easiness, it has introduced the ticket system which helps in receiving a response in short period of time. Next is Video Academy, which will guide you through every part of the visual composer. Overall, 4.8/5. Cost: Many costly plugins are also available. Though it costs less than other plugins, it doesn’t mean that it is not a good plugin. Sometimes expensive plugin may not be that great. It’s kind of bargaining to get this theme for such a low price on theme forest. You can check the theme price here. So this plugin fits in the budget of every normal developer. So this much for this time. I will be back very soon with new reviews. Till then good bye to all of you.Hope you liked Visual Composer Review.